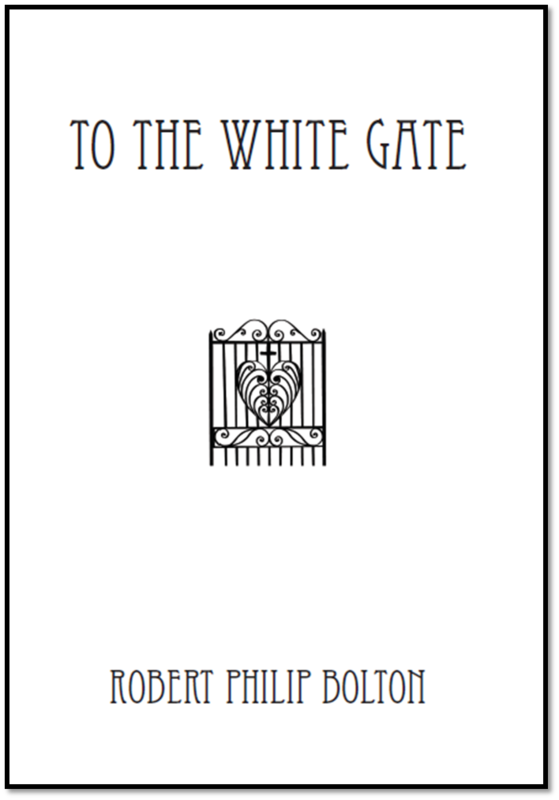 Some wonderful feedback for 'To The White Gate'. Posted by: Robert Philip Bolton at 11:27, July 30 2015. 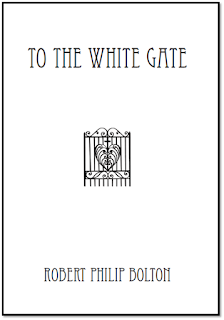 'I would have to write a book to tell you how much I enjoyed To The White Gate. I loved your strong characterisations, fell in love with your characters and with the inevitability of the narrative. 'Not only were your characters strong, the writing was strong. It led me unerringly thru’ the narrative, made me smile and made me cry. If I like a book I can’t wait to get back to it. I couldn’t wait to get back to 'Gate'. My book My Marian Year is about growing up in Auckland in 1954. The photo on the cover was taken by Graham Stewart who was a tram enthusiast and a staff photographer on the New Zealand Herald. I found the photo in one of his wonderful books called Around Auckland by Tram in the 1950s and used it with his permission. 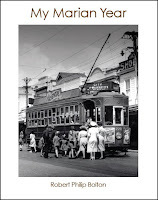 The tram in the photo -- tram number 221 -- was standing at the Three Lamps terminus at the end of Ponsonby Road one Sunday morning in the early 'fifties. "I have just taken a look at your website and I noticed that the front cover of your book ‘My Marian Year’ has a picture of a tram on it. We happen to own a tram in the Te Puru Holiday Park (Thames Coast) which has been converted into a holiday home. The number belonging to our tram is 221, the very same tram which is on the front cover of your book. How co-incidental is that. Bryan’s grandparents were among the first families to purchase trams back in the 1950’s after they had been transported from Auckland to Thames for use as holiday homes. We believe at least 30 were relocated to the Te Puru Holiday Park (which was previously known as the Boomerang Motor Camp). 25 still remain. My sister-in-law owned the grandparents tram until she sold it in 2007 and moved to Australia. Bryan and I purchased our tram in 1995 and we holiday there frequently during the summer months."